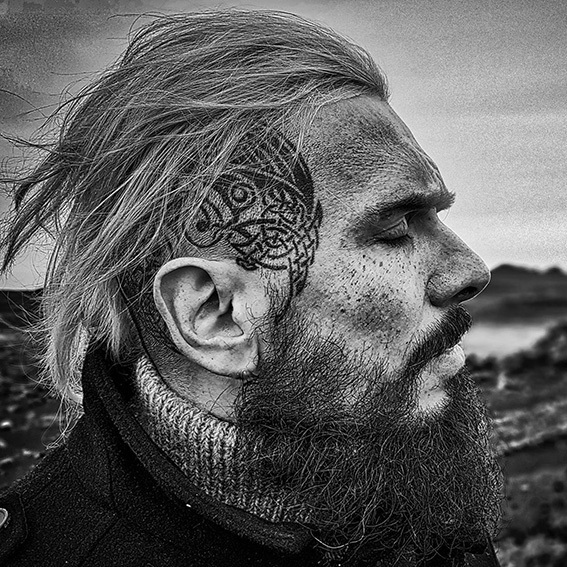 Thank you for reading Storytellers – I hope you enjoyed it. I would be most grateful for a review or a comment on Amazon, Goodreads, or any other website of your choice. Takk fyrir! You might have noticed similar requests in other authors’ books. Not just indie authors like me, but traditionally published writers whose books have their own shelves in Waterstones. Oddly, we don’t say “only leave GOOD reviews”, so… why? Is this some sort of a competition? 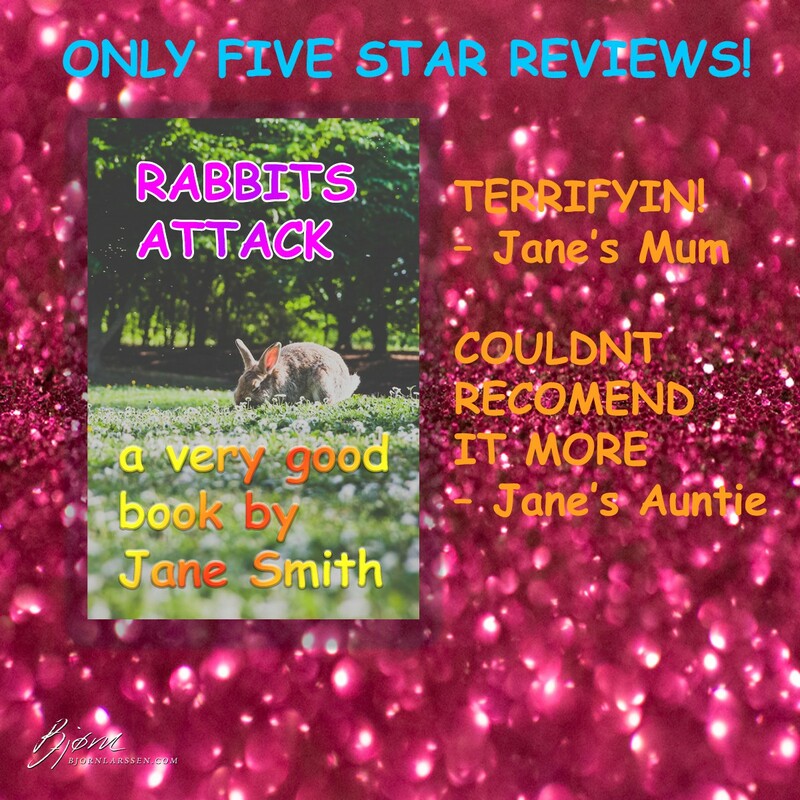 Jane Smith just self-published a novel called Rabbits Attack. The novel, which she worked on for eight years, sold 30 copies in its first week, 15 in week two, 2 in week three. Her heart sinks as Jane watches her sales drop. With a sigh, she opens her book’s page and notices something odd. Her book’s Amazon page lists… fifty-five other titles – and that’s with an ad-blocker! Those are divided between so-called “Also boughts”, “Customers also shopped for”, and “Customers who viewed this item also viewed” sections. So, on her own book’s page, Jane has fifty-five competitors. That’s more than the number of books she sold. Jane’s book can be found on the Children’s Humor chart. At number #28668. In the Amazon Best Sellers Rank, it’s even worse: the number is #1,908,042, meaning that 1,908,041 books are selling better than Rabbits Attack. Jane pours herself a glass of wine before clicking on the “also boughts”, trying and failing to figure out how they are different from “customers also shopped for”. She discovers something odd: J. K. Rowling’s books are all over her page, but Rabbits Attack can’t be found next to Harry Potter and the Attacking Rabbits. “That’s unfair!” cries Jane, and she is completely right. It is! Unfortunately, Amazon is not in the business of being fair, but in the business of making money. Jeff Bezos doesn’t care what people buy, as long as they do. Any of the fifty-six books on Jane’s page will make Amazon money. Jane’s book had four reviews. Her mum and auntie really enjoyed the book. The third, that written by her boyfriend, was removed for violating Amazon guidelines (same credit card number, same address, come on, Jane’s boyfriend!). The fourth said “Jane bought me a cocktail for this review lol” – this reviewer’s account is currently suspended for unknown reasons. This leaves Rabbits Attack with two. It doesn’t matter that both are five stars, giving her a perfect score. Amazon’s algorithms don’t notice her book’s existence at all until a certain threshold is passed. Some say it’s 25, some – 50. In any case, three reviews aren’t even a blip on Amazon’s radar. Low sales lead to low number of reviews, which leads to less visibility, which leads to no sales. At least until Jane pulls out her credit card and pays for advertising, hoping for the best. The reason why Amazon recommends Rowling’s books on Jane’s page is that they have thousands of reviews. The reason why her book is nowhere to be found on Rowling’s page is that she amassed two, and judging by the sales it looks like not many more are coming. The Amazobot circle dance: the lack of reviews leads to the lack of reviews. Amazon doesn’t want to sell you a random item. It wants to sell you an item you will want, one that will make you come back for more. Jeff Bezos didn’t get rich by recommending that buyers of Danielle Steel check out power tools and wireless speakers next, because they will totally go together. The point is that you read a book, then go to review it, and while you’re at it you’ll look at the “also bought” section… and buy something from it. This section is valuable real estate. Jane has a snowball’s chance in hell of appearing there before her book receives a certain number of reviews. Those numbers aren’t made public, of course, because duh, so I’m going to give you the approximate results of my highly scientific research (also known as “reading blogs”). Once Rabbits Attack gets 25 reviews, Amazobots will flag it as “oh – this is apparently ‘a book’ – let’s look at it sometime, it appears that some people read it”. (There is a difference between “buy it” and “read it”.) 50 reviews, and Amazobots start mentioning Rabbits Attack in the “also boughts” and “customers also viewed” sections. 100 reviews, and Amazobots will add Rabbits Attack to the emails sent to customers who will buy the books they find in the related also bought sections. The other Amazobots circle dance: the better the book sells, the better it sells! As an aside, you can review products on Amazon even if you bought them elsewhere. (I didn’t know that for a long time.) 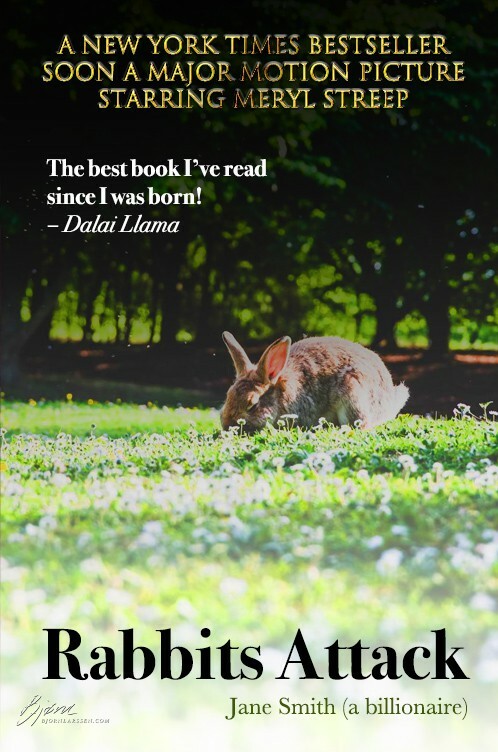 If you received a product, like an e-book, for free, all you need to do is mention it – “I received an advance copy of Rabbits Attack from the author, this is my honest and unbiased review” is perfect. If Jane offers you a cocktail in exchange for a review, you better not have an Alexa anywhere at home… kidding, the Improved Verification is only coming in 2022. Strangely, it’s better to have 50 reviews with an average of 3.5 than three reviews with an average of 5. First – because buyers are not stupid enough to think that Rabbits Attack is a masterpiece because Jane’s mum and aunt said so. Second – because Amazobots are aware of how reviews work. This is going to be especially visible with controversial books. An audiobook by a popular American politician has the following score distribution: 60% five stars and 40% one stars. It did not receive a single 2, 3, or 4-star review. Adventures of attacking rabbits might prove to be a polarising subject and attract hundreds, then thousands of readers, which will inevitably mean both gushing about how there will never be enough fluffy, murderous bunnies and furious declarations that rabbits are sweet and peaceful creatures. It’s going to be great, Jane, seriously. The readers will know the book exists, which they currently don’t – not with your two reviews, no matter how positive. I’ve seen people pour their hearts and souls into essays on their favourite or most hated books. Some of them will write a wonderful critique about a book that they didn’t even care for much. Sometimes explain at length why the exact thing that made me love the book was the worst thing ever committed to e-paper. All I could think of more often than not was “I really, really enjoyed reading this”, which didn’t seem enough. It is. A review doesn’t have to sift through the plot or point out the (in)accuracies regarding rabbits and their violent habits. “I really, really enjoyed reading this” is as valid a review as a novella-length dissertation on the rabbit species sorted from the least to most dangerous and lesser known methods used to defend yourself from their murderous activities. As a result, I’ve been spending time on Goodreads recently adding reviews for the old books I’ve read years ago. Some of those reviews say “I really, really liked it and still do”. I haven’t been suspended or arrested yet. Amazobots don’t read the reviews. It’s the number that counts for them. Of course, everyone wants a perfect 5.0 average on five million reviews, but unless Jane wakes up to twelve real one-star reviews – real as opposed to left by her biker ex and his gang, long story – it’s better to have 50 reviews with an average of 3.5 than two shiny five-star ones. The review only has to be one thing: honest. That’s all. Clicking four stars and typing “I liked it” = review. Clicking two stars and typing “I didn’t like it” = review. Myself throwing stars left and right, and declaring that if you disliked “Good Omens” you clearly need four bikers of the Apocalypse in your life = review. When Jane found herself on the brink of stardom (i.e. gathered 24 reviews), the disaster struck: ONE STAR. The customer wrote: “this book is so badly writen the gramar was not even checked amatur work coudnt finish”. Amazon highlighted it as the most helpful negative review. An hour later, Buzzfeed added it to their “24 Most Hilarious Amazon Reviews Of The Week”. Within two months Jane was an owner of a house, a Mercedes, and room for a pony. I’ve been spending LOTS of time on Goodreads reviewing everything. I’ll be copying those reviews to Amazon, even though I can only leave reviews on the Dutch site. Better than nothing – I think.